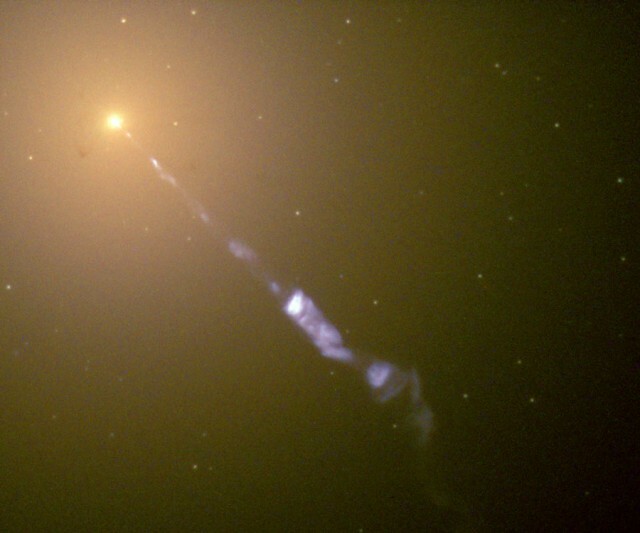 One of the relativistic jets of the galaxy M87. It’s difficult to imagine the environment near a supermassive black hole. These objects are typically over a million times the mass of our Sun, but all of that matter is crammed into a space that may only be a fraction of the Sun’s radius. Any matter falling into one piles up into an orbiting disk of material (called an accretion disk) that increases in density and energy as you get closer to black hole. Any matter that crosses a point, however, rapidly spirals inward to the black hole itself. The inner area of the disk is so energetic that it actually sends matter away from the black hole in a wind of particles. Yet most reports, such as John Kotter’s classic Harvard Business Review article “Leading Change: Why Transformation Effort Fail,” show that few attempts at fundamental change are very successful, a few are utter failures, and most fall somewhere in between, with a distinct tilt to failure. Discussions about process improvement failures sprang up recently on two different LinkedIn groups I participate in, and most members cited a lack of leadership from the top as the primary reason. A few said it was because people didn’t follow the methodology (e.g., Six Sigma or Lean) the right way. Ironically, few of these discussions pursued this issue much further to get at the root cause. Why aren’t leaders on board? Why doesn’t culture change? How do you change culture? Why do cultures resist change? Because we hold onto practices that make us successful until they become habitual. Why don’t we try new practices? Because it takes energy to learn a new habit. Why do we need habits? Because to compete successfully, we must able to instantly respond to the environment; we cannot take the time to think every time before acting. The faster we can react, the more likely we are to survive when confronted with danger. When do we create new habits? When we confront a situation where existing habits don’t work, we conclude a new habit is needed, and we have enough time to create one. Why does it take a long time to change habits? Because if we change immediately every time we encounter a new environment, we will constantly spend energy on changing — energy that we need to survive. And whenever we encounter a new environment, our first reaction is fear. It has to be fear because before we take any action, we must ensure that we can survive. We use this fear to keep us safe. 1. Show respect to the people whose work will change by getting them involved in defining the improvements. 2. Welcome failure in experiments of new ways of working as a way to learn; remove the downside risks and provide upside. Experiments allow us to learn and improve. As described in my previous post, “Get Your Worker to Disrupt Their Jobs,” you should commit to your employees that they will stay employed if they suggest process change. You should also give them some of the upside from making those changes — profit sharing and promotions. And by training them, you can demonstrate your commitment to their development. 3. Hire self-starters who are committed to your mission. Questions: What do you see as the root cause of failures to institute continuous improvement? How have you seen workers overcome their fear of work changes?